Steve has over 30 years’ experience of Criminal Law and is an experienced and highly regarded Criminal Advocate and Accredited Duty Solicitor. Representing clients at the Magistrates’ Court and police station on a regular basis he has a wealth of knowledge and expertise in all aspects of Criminal Law. Manjit joined Dodds Solicitors in 2000 and is currently working as a partner in the Family Department. Ashwin joined Dodds Solicitors in 2002 and is currently a partner in the Family Department. Ashwin qualified in 1993 and is a highly regarded Family Law Solicitor. He specialises in the financial implications of divorce and relationship breakdown, having dealt with complex cases involving businesses of all types; pension issues, property and assets abroad and high net worth cases. He also deals with Pre-Nuptial and Co-Habitation Agreements. Ashwin is also an accredited Member of Resolution, dealing with childrens’ issues and domestic abuse having assisted in obtaining various injunctions over the years for protection, not only of financial assets but also for personal protection and those of children. He is a Resolution trained Family Mediator since 1999 and a Member of the Family Mediation Council able to undertake child consultation and all issues Family Mediation. He has also been assessed by the Legal Aid Agency to undertake public funded Mediation as well as privately funded Mediation. Carly Horwell has specialised in family law since qualifying in 2007, with a focus on children, including issues relating to domestic violence. Carly is experienced in representing all parties within children proceedings, including parents, grandparents, step parents, extended family members and children. Carly became a member of Resolution in December 2011 and has been a member of the Law Society’s Family Law Accreditation Scheme since May 2010 and the Law Society’s Children Panel Accreditation Scheme since December 2010. Carly has experience of representing parties within complex family and children cases relating to residence and contact and disputes relating to use of parental responsibility including change of name, permission to change schools and permission to leave the country. Carly joined Dodds Solicitors in January 2004 as a legal secretary, after completing a Law Degree. Carly undertook her training contact at Dodds Solicitors and qualified as a solicitor in January 2007. Carly became a partner at Dodds Solicitors on the 1st April 2012. Nikki joined Dodds Solicitors in 2012 and became a Partner on 1st April 2017. She deals with legal matters relating to children and families, representing parents, relatives and children in care proceedings. Nikki also deals with cases where there are disputes between parents or family members over the arrangements for the care of a child or time spent with family members. Nikki became a member of the children’s panel in 2013 and is well suited to working with children, young people and adults with learning or communication difficulties due to her previous experience of working in schools and with children with emotional and behavioural difficulties. Nikki is well known for her empathetic manner and for always going that extra mile in representing her clients. Nikki has been described by those she has worked with as; understanding, diligent, approachable, fearless and down to earth. Nikki commenced her legal career in Local Government in 2005 dealing with a broad range of corporate governance and public law matters. Nikki worked for three Local Authorities and specialised in child protection upon qualifying as a solicitor in 2008. Nikki practiced in Local Government until joining Dodds Solicitors in late 2012. During her time in Local Government Nikki worked as legal adviser to the adoption panel and the health scrutiny committee in addition to her day to day work as a child protection solicitor. Nikki also developed and delivered training to professionals in the field of child protection and worked closely with Service managers on projects to implement changes in policy and working practices arising out of the PLO reforms and learning objectives arising out of serious case reviews. Jennifer shares the responsibilities of the Senior Partner in the Matrimonial Team. As part of her role, she is responsible for business development and case supervision of the team members. In addition to her duties, Jennifer manages a full case load consisting of matrimonial matters, including dealing with the distribution of assets on separation/divorce, matrimonial agreements such as pre & post nuptial agreements and separation or cohabitation agreements, as well as matters concerning the children. Jennifer is a member of Resolution and a Resolution Accredited Family Law Specialist in complex Financial Remedy proceedings and advocacy (finances arising on divorce). Jennifer also spends time tending to the training needs of local practitioners through her membership of the Leicester, Leicestershire and Rutland Family Justice Board, Training and Education Sub Committee as well as through her involvement with the Civil and Criminal Justice Working Group which provides a platform for local practitioners to come together with the sole aim of forming better working relationships for those who find themselves in the Justice System. 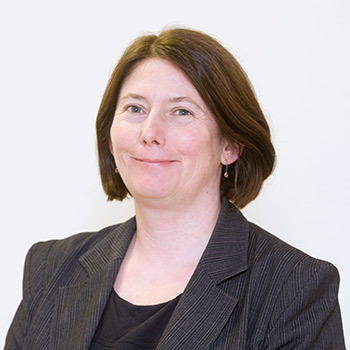 Sarah qualified as a solicitor in 1990 and is an Associate Solicitor. Sarah joined Dodds Solicitors in July 2000. Sarah deals with all types of disputes including disputes over property ownership or disputes over a Will or an inheritance. Disputes of this nature can be expensive to pursue but Sarah will be able to advise you as to the best way to try to resolve such disputes with advice tailored to your individual circumstances. Sarah has dealt with a number of high value disputes. Sarah also deals with personal injury claims and has helped hundreds of clients to obtain compensation to put their lives back on track following unexpected injuries and accidents. Reena joined Dodds Solicitors in 2003 and is currently working as an Associate solicitor in the Family Department. Reena is an experienced Family Solicitor and Collaborative Lawyer having qualified in 2002. Since qualification, Reena has specialised exclusively in Family Law. Reena has experience in all aspects of private Family Law and with particular expertise in dealing with divorce, financial and property issues including pre-nuptial agreements, matters relating to children and domestic violence issues. Reena is a member of the Law Society Family Law Panel, a member of Resolution and the Collaborative Family Law Group. Reena speaks fluent Punjabi. Faye joined Dodds Solicitors in November 2009 and became an Associate Solicitor in the Crime Department on the 1st April 2016. Faye qualified as a Solicitor in August 2009. She gained her degree at the University of Leicester in 2006 and completed the Legal Practice Course at Nottingham Law School in 2007. Since qualifying as a solicitor Faye has practiced exclusively in Criminal Defence work. She is experienced in all areas of Criminal Law. Faye regularly represents clients at Court and at the police station in relation to all types of offences. In 2011 Faye became a Duty Solicitor. Samantha Downs heads up the Wills and Probate department at Dodds Solicitors. On the 1st April 2016, she became an Associate Solicitor. She has specialised in all aspects of Wills and Probate since 2006, and is a Full Accredited Member of Solicitors for the Elderly having passed the exam with 90% and also a member of the Probate Section. Samantha enjoys the challenge and variety of her work, as every customer is different and no two situations are the same. She sees her work as giving people peace of mind, safe in the knowledge that the service and advice she gives is of the highest possible standards. Philpa joined Dodds Solicitors in July 2010 and is currently working as a Solicitor in the Family Department. She since went on to do her training contract with Dodds and qualified in April 2012 joining the Family Department as a Care solicitor. Philpa has a mixed case load and does both private and public law work. Philpa enjoys representing parents on particularly challenging cases including serious injury cases. Philpa speaks Gujarati and Hindi and is pleased to work in Leicester where she has an opportunity to utilise these skills. Ajay joined Dodds Solicitors in November 2012 and is currently working as a Solicitor in the family department. He gained his degree at the University of Leicester in 2011 and completed the Legal Practice Course at De Montfort Law School in 2012. Ajay speaks Punjabi and Hindi and is pleased to work in Leicester where he has an opportunity to utilise these skills. Khalid Joined Dodds in March 2019, as an Associate Solicitor to head up the Commercial Property & Conveyancing Team. Khalid Jamal is a specialist property lawyer, who has been practicing across Leicester City and Leicestershire for over 10 years. Having qualified as a Solicitor in 2010, at a local firm, Khalid has developed his area of practice and has built a large commercial clientele following over the years. Khalid has extensive knowledge and experience, dealing with small to medium businesses in the acquisition, disposal, and refinancing of commercial land acquisitions and property. His keen attention to detail, pragmatic and friendly approach has been the key to Khalid’s success with client retention. Khalid is also a practical lawyer, who understands the day to day needs of SME (small-to-medium enterprises) and OMB (owner managed business) clients and is always on hand to give valuable and concise advice to his clients. Khalid has a sound background in civil litigation practice and has experience of civil property disputes, acting for Landlord and Tenant clients. Aside from his legal work, Khalid is a member of a number of organisations including The Law Society. He is the Solicitor for the Guild of Residential Landlords and the Secretary of the Belgrave Muslim Welfare Association and a Member of MBCOL. Khalid is a keen believer of supporting local people, organisations and charities. George joined Dodds in April 2015 and works in our Wills and Probate Department as well as undertaking conveyancing. George is a Chartered Fellow of the Institute of Legal Executives and has over 30 years of experience working in the legal profession. Here at Dodds, George advises clients on a range of issues, such as Wills, Lasting Powers of Attorney and the administration of estates. Patsy is a member of our residential conveyancing team. She has worked in private legal practice in excess of 15 years and is an Associate member of the Chartered Institute of Legal Executives.